The Rev. Dr. Nancy Wilson is the Moderator of Metropolitan Community Churches, which has ministries around the world. Dr. Wilson was part of the first LGBT faith delegation to meet with a sitting president in 1979. She became a member of President Obama’s Advisory Council on Faith-Based and Neighborhood Partnerships in 2011. 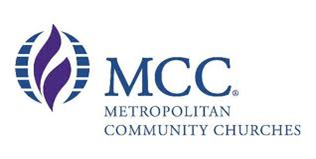 Leaders of the global denomination, Metropolitan Community Churches, decried the spray-painted threat on the door of Metropolitan Community Church of Our Redeemer in Augusta, Georgia, on the night of July 20, 2015. 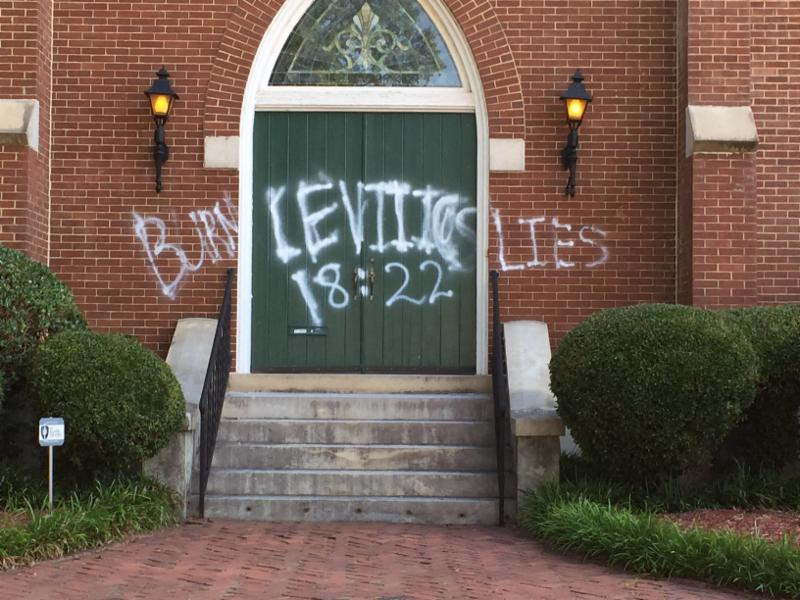 Vandals leave spray-painted messages of hate and violence at Metropolitan Community Church of Our Redeemer, Augusta, Georgia, on July 20. A GoFundMe account has been established to repair the damage and purchase a security system. (photo by R. Sosbe). that is secure from hate and violence.